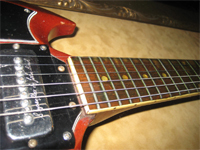 Nick Didkovsky is a guitarist, composer, and music software programmer. 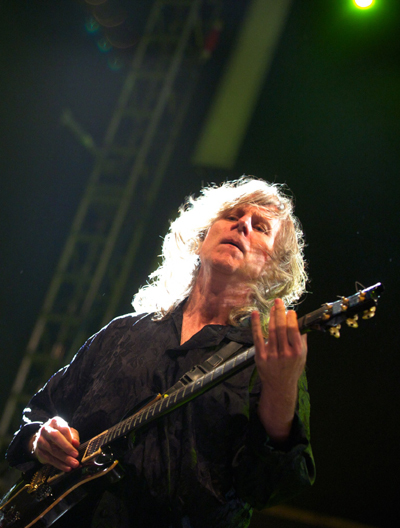 He founded the rock band Doctor Nerve in 1983, the metal bands Häßliche Luftmasken and Vomit Fist in 2011 and 2013 respectively, the free metal guitar duo CHORD in 2018, and is a member of the Fred Frith Guitar Quartet. He has composed for Bang On A Can All-Stars, Meridian Arts Ensemble, ETHEL, and others. 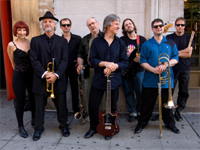 He has performed with DITHER Guitar Quartet, John Zorn, Billion Dollar Babies, and Blue Coupe. His compositions and guitar work appear on over 50 records. Album credits include Alice Cooper "Paranormal", released July 28, 2017. With computer music pioneer Phil Burk, Didkovsky created Java Music Specification Language. 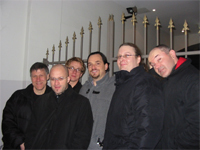 With composer Georg Hajdu, he has created MaxScore, an object that uses JMSL to bring music notation to Max/MSP. 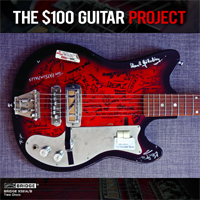 In 2010, he founded the $100 Guitar Project with Chuck O'Meara. His Punos Music record label serves up his more extreme musical projects. Dense, immersive electric guitar music. 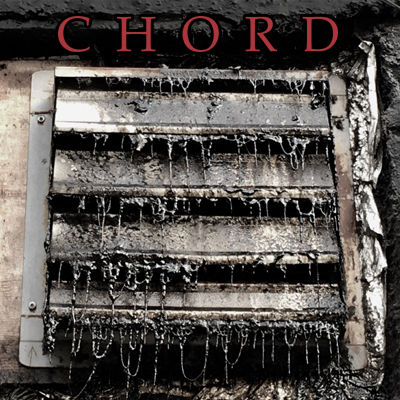 CHORD II available now! 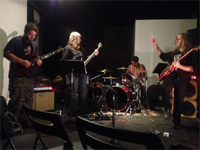 Doctor Nerve is a rock band that has been annihilating the boundaries between rock, metal, improvisation, jazz, and experimental music since 1983. Häßliche Luftmasken is a metal band. "If Motörhead were math majors..."
Vomit Fist is blackened grindcore perpetrated by Lurkrot, Vürdoth, and Skrag. 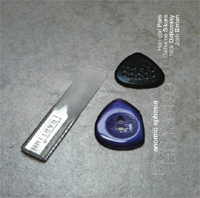 Eris 136199 is an improvising trio with Han-earl Park, Catherine Sikora, and Nick Didkovsky. 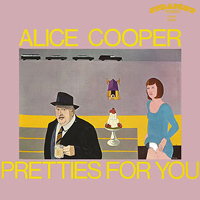 The first Alice Cooper record "Pretties for You" performed live by Paul Bertolino, Nick Didkovsky, Glenn Johnson, Max Johnson, Adam Minkoff, and Nick Oddy! Premiering Nov 8, 2015 at The Stone as part of Nick Didkovsky's residency. Ice Cream Time, for electric guitar, sax quartet, and real-time audio processing by Nick Didkovsky. Upcoming show at Roulette! Java Music Specification Language (JMSL) is a Java API for music composition that support JSyn and MIDI. MaxScore is a Max object that brings programmable standard music notation, transcription, and playback to Max/MSP. 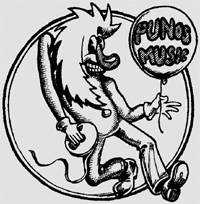 Punos Music offers interactive online computer music, as well as CD's of Nick's more extreme musical projects.